This beautiful metal beverage tub with bring a natural forest flair to your next party. 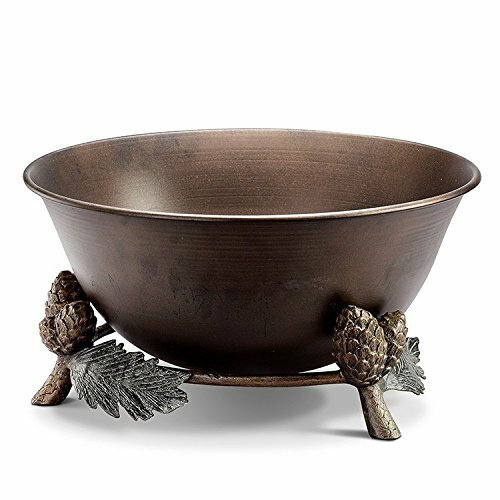 Made of aluminum, it features a bronze finished pinecone and pine needle motif base, holding the 17 inch diameter copper finished bucket. The bucket and stand measure 20 inches long, 17 inches wide and 14 inches high. This will be a sure conversation piece at your next party, and makes a great gift for nature lovers.